Many think that there is only one knowledge of Flying Star. This happens primarily it has been propagated by Celebrity Masters to be this way. The fact remains Flying Star is more than what they have told you. To explain the 2 schools of Flying Star that is prevailing today, first we have to go back to the beginning how it all come about. The fact that only in the Qing Dynasty (1644 – 1911) to be revealed this secret means that many people believe that the Xuan Kong Feng Shui is a relatively new technique but the concept of flying star existed way back in the Yuan Dynasty. It was sighted in a ancient calendar (almanac) from Yuan Dynasty. Perhaps it existed much earlier! In 1873, Shen-Zhu Ren, a rich businessman went to the city of Wu-Xi in Jiangsu to learn from Zhang Zhong Shan but Zhang Zhong Shan refused to teach Shen because he is not a family relative. After a while Shen Zhu Ren offered to pay a lot of money to the relative of Zhang, to view the manuscript which contained explanations and experiences of teacher Zhang Zhong Shan. After he have paid a large sum of money, Shen Zhu Ren was given permission to view the manuscript for only 2 days, after which it was meant to return the book. He secretly he copied the manuscript and for many years after he tried to understand what he had copied without getting great results initially. When he thought he had found some answers via his own understanding and 2-3 years of experimenting with houses and he began to tie the dots together with his son and published their findings in the book called Shen Shi Xuan Kong Xue. (Shen way of Xuan Kong Study) or in Chinese 沈氏玄空學. This book made Flying Star accessible to the public. In fact in the early nineties in Hong Kong not many masters even know Flying Stars. Mostly they were practicing either the 8 Mansion, San He or Jiang Hu styled Feng Shui. Shen has brought to the world of Feng Shui an opportunity for lay people to learn the highly effective Flying Star Feng Shui. Many modern masters without lineage has used this book as reference and followed the foot steps of Shen i.e. reading, deducing the meaning themselves and experimented here and there and later roll out to teach courses and give consultation. In fact more than 90% of the source of flying star outside today is from Shen. Another Great Testimonial from A Seasoned Practitioner. Feng shui is not an easy art to master. This is my honest expression from years of practicing feng shui. Without the guidance of an experienced master, it is very difficult to master the finer points of feng shui. Reason feng shui as been taken by public as a superstition or con man’s tool to cheat the public is part on us as feng shui practitioners, we have the responsibility to correct this wrong perception. 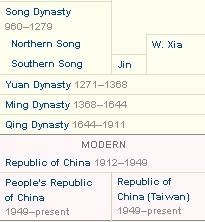 Those ancient masters I don’t mention, just the more recent masters like, Tan Yang Wu, You Xin Yin (Yen Pen), Ven. Hong Chuan, Ven. Sui Ming, Chen Bei Sheng, Zhen Zi Nan etc…, those people who benefitted from their help are countless and same time many practitioners who have not mastered the finer art of Feng Shui has eagerly gone into practice, may have caused damages to their clients and their generations without knowing it. It is sad to know this happenings. As they have passed away, I can only patiently accumulate the experience, and through mistakes I verify respected teachers’ teachings. Sometimes I am stuck and I have nobody to ask for guidance so I have to only depend on myself to find the answers. Most masters only explain the wordings on the classics but not the hidden meaning of the texts and this is very common nowadays. After many years of searching for a real master which I almost give up but perhaps heaven heard my sincere heart’s calling and via Mr Lai I finally managed to meet Master Leyau. In the above poem, there is 1 phrase that “great man learns the way” and sincere people after listening will strive to work harder while those who are not clear after listening, will only laugh at it but the real dao are usually things that we laugh at. That is why the sage says “ the illumination in the dao is like darkness, the forward dao is like moving backwards” it is like a kind of contradictory meaning because its true meaning has not been unraveled. Usually the accomplished person will often look like a monk/priest/sage. So what has it got to do with me in my journey of finding master? It is me telling master “I will remember your teachings & work diligently towards it” & master’s image in my mind is like the above poem. Also, I must thank Wanli Singapore Mr Lai for leading me to meet Master Leyau. He helped me accomplish my wish in searching for a right Master although I have at least 16 years of experience in Feng Shui. When I decided to enroll to master’s courses, I choose to start off with the most basic course and learn from beginning [to unlearn to learn]. Those who have learnt Xuan Kong will know what is Flying Star and I am no exception and I have deep experience in Flying Star, at least this are my thoughts before I attended the course. During the course, Master’s explanation is really profound and deep. Then from here my understanding of Flying Star has gone another level deeper as master decode the real meaning behind. He always explains in simple words the application & interpretation of Flying Star. Like the meaning of Mountain and Water is not as what I have understood till today, & I felt very surprise with this new teaching, it is an eye opener. Even the most common 81 combination, no need to memorize and you can almost immediately remember. Master Zhang’s secret formula of 7 star Robbery was explained well by Master and is not as complicated as what you read in books. The Castle gate theory that has been most feng shui master’s difficult/confusing subject because most common teachings has explained in many ways but are not practical. However, what master has taught can be used to benefit the public, at least this is my understanding. 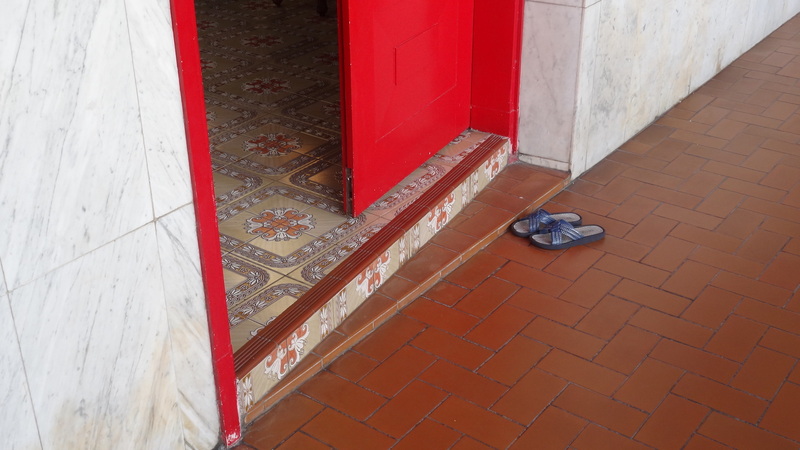 In Xuan Kong Feng Shui, everyone knows that the main door is important but how to know the right position to bring in auspiciousness because a slight misunderstanding of the theory can make good become bad. Just an explanation from Master, I now grasp the real secret of this concept. My years of doubts and blind spot in Flying Star has been cleared during this course. 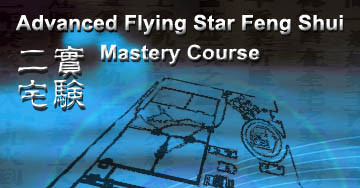 If you really serious about learning Flying Star, this course is a must for you. This is my experience after attending the course with master. This is my 2nd astonishing class, Er Zhai Shi Yan is a book that every practitioner of Xuan Kong should read. It records the past cases and by far one of the most comprehensive records of Xuan Kong teachings and secret but master has so skilfully explained it’s content. Grandmaster (Yee Sin Monk) has recorded so many cases and to expound the key concepts inside this book. Before this course, this book is one of the intriguing book even after going through it many times. Those sections that I cannot understand has now been clearly explained by master (Master Leyau) the Yang(Living) house sections. Each case is explained in detail so I have now cleared my blind spots. Now, when I re study the book, I now understand Grandmaster’s meaning in the book and his hard works. Master has explain both the theory and application completely. Without his guidance, it is impossible to catch the essence of this book. So many practitioners of Xuan Kong Flying star think that it is about big and small taiji of the 9 palaces and perhaps you are one of them. If you come to this course and also read this book人間天眼指南 you will discover the real meaning of shifting palace & sitting and facing then you will truly understand the secret and call yourself a graduate. At present there a many XKDG feng shui courses and many have learnt it before, however, XKDG is not as what books or course teach outside as they are not pragmatic. After attending master’s course I only feel this is real feng shui. It is like a refreshing feeling of a new understanding of for example, what is truly Qian mountain Qian facing Qian water, what is Kun Ren Yi, coming out from Ju Men, River East coming auspicious, 8 gods 4 as 1 etc. is like the oral secret of the classics exposed by master. Now the key points, in 7 star robbery, Li palace must combine, this secret is not as what books or common books say, Li palace as the robber, Kan as the fake robber. Apart from this, I also have understood the oracle of Jing Fan, Bagua Yao, Wen wang gua etc. which was in the past a difficult & also subjects like zhuang gua & changing yao. Master’s XKDG course, I can say is really an eye opener. I am fortunate to have learnt from master the essentials. Even the book Di Li Bian Zhen every sentence is explained by master. I really appreciate master’s guidance and teachings. These are my experience so far attending the course with master. Later I will join master’s Yin Feng Shui, XKDG date selection and San Yuan Qi Men Dun Jia and palmistry. I too hope more people can acquire the right knowledge but perhaps one needs good karma to find a good master? Have a nice coming week! Looking for a Feng Shui School that it’s method consistently works? Search no more! At Central Academy of Feng Shui (CAFS) under the guidance of Grandmaster Francis Leyau, you can be sure your level of expertise will reach a Professional Level. This course is based on real case studies on audits done by Master Yen Pen. -Case Studies on houses seen by Master Yen Pen where residents caught illnesses and were unable to recover due to poor Feng Shui layout. Not many schools can consistently define this. Why? and what is the secret? – Recommendations done to the house and factory by Master Yen Pen on various encounters thus resulting good immediate results. Which method did Master Yen Pen used that is different? – Numerous examples of poor bed and door positioning resulted in contacting infectious disease. Which way of bed positioning? – Cases on how business owners prosper tremendously due to good feng shui. Is it by water fountain or….? – Cases on why businesses still failed even though with good Feng Shui. – Cases on misfortune happened to families living under one roof. Is it the compartment, the placement of bed or door? – Examples of Master Yen Pen good understandings of the Old Classics texts, which enable him to unravel the true Feng Shui applications. – All the real case studies will enable you to apprehend and to learn the meaning of Xuan Kong Flying Stars Feng Shui to the utmost. Frankly, many has tried to understand his works but many was not able to comprehend it simply because you need a master from the same lineage to fully appreciate it’s profound knowledge. So come join us on this revelation on this 4 days course in the comfort of the classroom and yet fully understand the above. Once you have acquired the knowledge, a breakthrough will come.